As a man working for the military, it is your duty to accept any assignment you will be posted to. When you are a called to settle to a new place, it would be easier to ask help from military moving company. Since you will have to bring your family with you, getting in touch with a moving company will give you peace of mind that all your personal items and valuable belongings are handled with care. No matter what the distance is, you are assured that the household goods are in the same condition as they were packed from the current place. The moving company shall be responsible in transporting the household goods of military personnel who will have a Permanent Change of Station (PCS). The company is equipped with skilled people and quality materials designed to make the move efficient and organized. The occurrence of accidents is inevitable, especially if the materials are too big and the distance is quite far. In the event that a valuable item is lost or expensive ornament got broken, the company will have to pay for these goods. State to State Move as a military moving company provides number of benefits. The crew of the military moving company shall take note on the physical condition of all household goods prior to packing. They will inspect if the cabinets have scratches, or a table has a broken leg and knobs are missing in the washing machine, among others. All these nitty-gritty shall be reflected on the Bill of Lading. Your duly authorized representative will have to sign the said Bill of Lading. And once it is signed, you agree that the conditions of the items specified therein are correct. All packed and fully documented, your possessions are ready for the move. 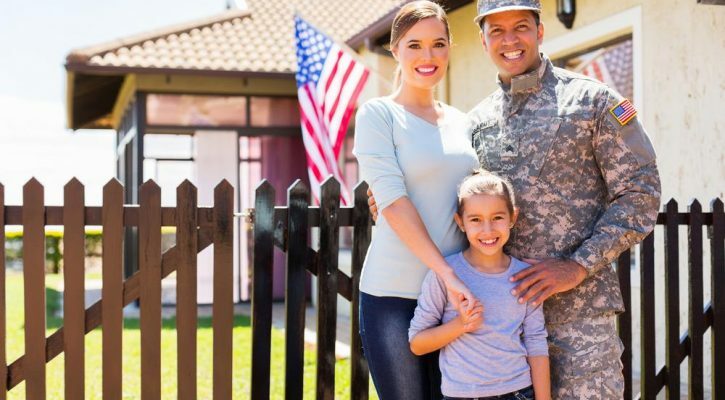 Working for the military is a great responsibility as you have to be open with the idea that you need to move to a new place from time to time. Since settling from one place to another is part of the job, you should be aware that moving companies are there to make the job a lot easier. Your family will not have a hard time packing things because the movers can take care of everything. Also, you will not have a difficult time adjusting to that new home because you will be using the same belongings as what you have been using in the past. Military move is done best with a service provider. Apparently, accepting a new assignment is a great sacrifice and moving to a new place can pose a chain of emotions. Your family can either feel sad for saying good bye to an old neighborhood or excited for meeting new people in your new home. Whatever the situation is, movers are there to lighten the burden of moving your belongings. Military move allows you to carry all your possessions from the tiniest object to the largest furniture. A huge truck is provided by the military moving company as this can accommodate all your belongings in just one load. You may not want to leave a thing behind therefore, let the mover carry all these for you. Located in El Paso, TX, Fort Bliss is home to the 1st Armored Division, which returned to US soil in 2011, after 40 years in Germany. Fort Bliss is comprised of approximately 1.12 million acres of land in Texas and New Mexico. The Main Cantonment Area of Fort Bliss is located adjacent to El Paso, Texas. Fort Bliss trained thousands of U.S. Soldiers during the Cold War. As the United States gradually came to master the art of building and operating missiles, Fort Bliss became more and more important to the country, and expanded accordingly. Right next door to Fort Bragg and Pope Army Airfield, Fayetteville is very military oriented.One of the most diverse cities in the US, Fayetteville, NC has many awards to its credit and activities for citizens. The sixth-largest city in North Carolina also has numerous historic sites, seven museums, three colleges and universities, multiple entertainment venues, a historic downtown and award-winning golf courses. Immaculate parks and lively recreation centers offer you the chance to experience the outdoors or work on a jump shot. Plus, if you’re looking to travel, Fayetteville Regional Airport and Interstate 95 give you many destination options. Naval Air Station Oceana is a military base located in Virginia Beach, Virginia. One of its airfields is named Apollo Soucek Field, named in honor of Lieutenant Apollo Soucek who served as a Navy Test Pilot in the 1930s. It was built in 1943 and by the 1950s, it was expanded to Master Jet Base status. Pensacola, Florida has been referred to as “The Cradle of Naval Aviation”. Naval Air Station Pensacola was the first Naval Air Station commissioned by the U.S. Navy in 1914. There are a number of annual festivals, events, historic tours, and landmarks. The Pensacola Seafood Festival and The Pensacola Crawfish Festival held in the heart of historic Downtown has been held for nearly 30 years with live music acts. Veterans Memorial Park in Pensacola is the home to Vietnam Veterans of Northwest Florida’s “Wall South”, a one half scale model of the Vietnam Memorial Wall in Washington, D.C.
Colorado Springs is located in South-Central Colorado, in the southern portion of the state. The city stands over one mile above sea level, though some areas of the city are significantly higher. Colorado Springs is situated near the base of one of the most famous American mountains, Pikes Peak, at the eastern edge of the Southern Rocky Mountains. Colorado Springs is the second most populous city in the state of Colorado and the 41st most populous city in the United States. Colorado Springs is home to both Army and Air Force bases. All these military installations border the city, to the north, south and east, excluding Schriever Air Force Base, which is located east of the city in El Paso County.